The Latin name of Neroli oil is Citrus Arantium meaning gold-coloured citrus. 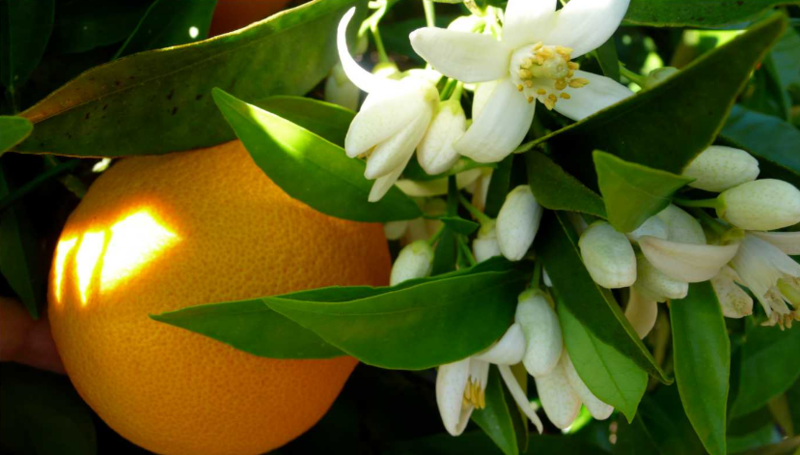 Neroli essential oil has a sweet, honey-like floral scent and is shown to be an anti-depressant and can help ease insomnia. It is also good for oily or dry skin and is also a facial softener because of its amazing properties which we are excited to share with you. Neroli oil is considered an anti-depressant and is very helpful in reducing anxiety. It is a great oil to use especially after trauma or shock because of its calming effects. Just get a diffuser for it or use it during massage. Applying Neroli oil on cuts and wounds prevents infections and tetanus. For even better results, mix it with coconut oil, which has great antibacterial properties. This powerful essential oil kills bacteria and keeps your body free from a number of microbial infections and toxins. In diseases like cholera, typhoid, and food poisoning as well as certain skin conditions caused by bacteria, this oil may prove useful in giving considerable relief. It can be used as a deodorant due to this property, as it kills bacteria that causes odour. Neroli essential oil safeguards all the aspects for good health, such as maintaining the correct rate of metabolism, proper circulation and a boosted immune system. Neroli is a great choice when it comes to managing inflammation and pain. It possesses biologically active constituents that have the ability to reduce acute inflammation and chronic inflammation. We all want to be forever young with healthy looking skin. However, using natural products and avoiding chemicals is the one way that is effective and safe. Neroli oil is known for its ability to regenerate the skin cells and improve the elasticity of skin. It also helps maintain the right oil balance in the skin, making it an excellent choice for all skin types.